What works: Belles Cuban sandwich and macarons lead the pack. What needs work: Closed Monday? Thats when we most need macarons! Tip: When youre in the neighborhood, swing by Belle Kitchen Deep Deuce, 30 NE Second Ave., inside OKSea. 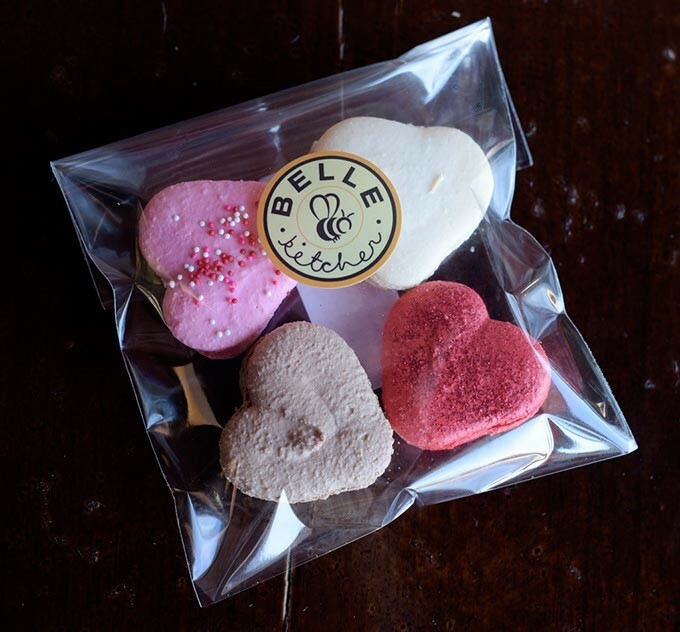 Valentines Day macaroons at Belle Kitchen, Friday, Jan. 27, 2017. The menu clearly tells Belle Kitchen bakery and restaurant customers about the different doughnuts, drinks and sandwiches available. But nowhere in the shop or on its website does it mention the peculiar medical condition best described as food amnesia that guests experience again and again when they eat there. 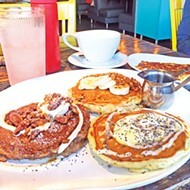 But then they wander into Belle Kitchen, 7509 N. May Ave., with glazed eyes and order breakfast or lunch. A few bites in, the fog lifts. Yes, the food is that good. 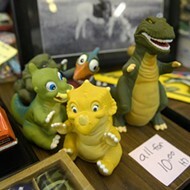 Past the colorful murals and tables topped with colored pencils and adult coloring books sit a pair of display cases. 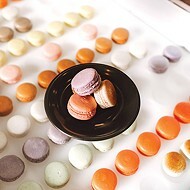 The one on the left showcases the eaterys signature macarons. The other one is filled with doughnuts. Choosing between the two is both impossible and unnecessary. There is room in every life (and stomach) for doughnuts and macarons. A brief word about macarons and macaroons. Macaroons are gluten-free cookies usually made with coconut, sugar and egg whites. Macarons, however, are meringue-based cookies made with egg whites, almond flour and sugar and served as cookie sandwiches piped with a flavorful filling between them. Most people associate these rainbow-colored, hamburger-shaped treats with France thanks to the world-famous Ladurée bakery, which is often credited as the first shop to join two of the meringue cookies together with ganache, but the treats are actually Italian. Macarons ($1.50 each) are beautiful when done correctly, and Belle Kitchen makes the best ones Ive had since tasting Ladurées version in Paris. They are crisp and almost shatter when bitten, and the meringue shards quickly melt. Their centers achieve an addictively chewy texture that breaks down after a few gnashes. Belle Kitchens macarons are gone in a bite or two, but each one deserves to be savored. Respect goes to owner Cheryl Davenport for always coming up with new flavors to delight her customers. Both the Fruity Pebbles and birthday cake varieties put smiles on my face, but it was her most popular version  salted caramel  that blew my mind. Turtle topped donut at Belle Kitchen, Friday, Jan. 27, 2017. Salted caramel? Yawn, the jaded among you might say, but give this a try before casting aspersions. Davenports secret is her housemade caramel, which makes all the difference in the world. This macaron had an incredible depth of sweet, buttery flavor thats made all the more complex by the addition of salt. Davenport also is an admitted chocolate fiend, so, of course, you must try the dark chocolate macaron. It would be easy to obsess over the macarons if Belle Kitchen didnt also sell some of the best doughnuts in the metro. Making the dough is a 24-hour process. It rises and is folded three times to create a heavenly texture thats solid and light. The doughnuts are almost weightless without the toppings, which are themselves masterpieces. 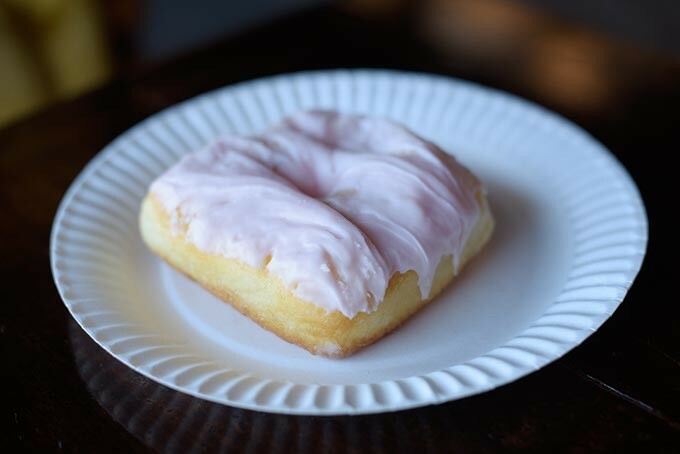 The strawberry milkshake doughnut ($2) is a ridiculous thing. 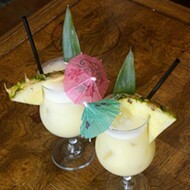 The restaurants fruit purees are overnighted from California, so the flavor is real and spectacular. The fruit is blended with heavy whipping cream and sugar to create a frosting that really tastes like a strawberry milkshake. This is an opportune time to remind everyone that doughnuts are best when shared. This is especially true at Belle Kitchen, where toppings are often so rich that having an extra mouth and stomach available is almost a necessity. 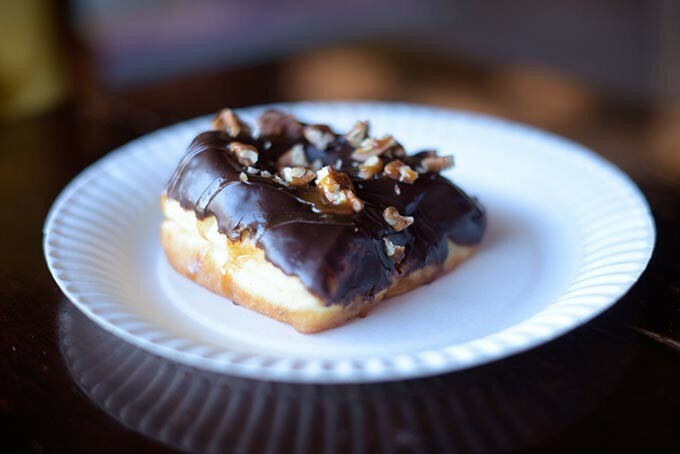 Gooey caramel and crunchy toasted pecans are perfectly paired so every bite gives a gush of creamy chocolate; a salty, nutty snap; and lightly yeasty doughnut flavor. My reaction was to immediately take another bite, but these treats are packed with flavor, so I slowed down and enjoyed how well it all fit together. Strawberry Milkshake Donut at Belle Kitchen, Friday, Jan. 27, 2017. 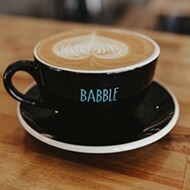 This is when having a friend can be a boon because their doughnut might be a different kind of rich and you can share cream-filled or espresso-flavored varieties. When anyone says something like, I dont really care for sweets, I just stare at them, trying to see if theyre lifelike androids or alien badgers clad in human suits. 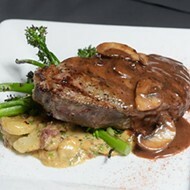 Then I say, Fine; thats just fine, because Belle Kitchen also serves a very tasty savory menu. The breakfast sandwich ($5) is a must with soft scrambled eggs, arugula and perfectly cooked bacon on a brioche bun. The peppery arugula sets off the creamy eggs and adds a buttery zing to the bread that keeps it from tasting too rich. Belle Kitchens grilled cheese sandwich ($6) also is made with brioche, except instead of a bun, the bread is sliced from a loaf. Its tight, buttery crumb holds together well when grilled, and the melted cheese in the center beckons the diner to take bite after bite. It tastes almost like someone made a grilled cheese sandwich using two slices of cake, except savory. Its one of a kind in the city. Cuban sandwich at Belle Kitchen, Friday, Jan. 27, 2017. 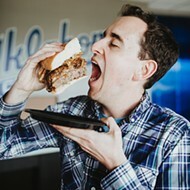 All that said, the highest accolades go to Belles Cuban sandwich ($6), which only improved with the swap from ciabatta bread to a more traditional hoagie roll. 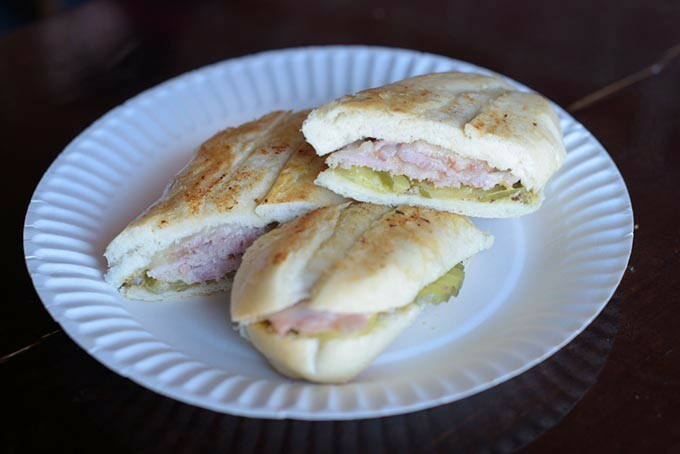 Cuban sandwiches are famous for fusing flavorful smoked pork, ham, cheese, mustard and pickles inside a pressed roll. The savory mix of meats has a satisfying fattiness that is cut sharply by the spice of the mustard and the crunch of the pickle. Mild and nutty Jarlsberg cheese adds texture and a slight tang while preserving the creaminess of each bite. Cuban sandwiches have slowly infiltrated Oklahoma City menus for years, but this one is my hands-down favorite. Its an absolute joy to eat. But thats true of almost anything at Belle Kitchen. Davenports crew does excellent work both in food preparation and customer service. No matter how bad my food amnesia gets, I know Ill soon find my way back inside for another reminder. Print headline: Dough yeah, Belle Kitchen excels at creating sweet-and-tasty pastries. 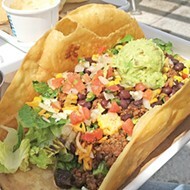 Its savory offerings are just as delicious.